William Evans has been on medication-assisted therapy since 2006. He’s treated by Dr. Peter Rostenberg, a primary care physician. William Evans grew up in Brookfield, a high school tennis player from a family with an Ivy League pedigree. By the time he was working at his first job after college, he was addicted to opioids, spending $25,000 in less than a year and driving to Philadelphia twice a week to buy drugs on the street. Now 37, Evans hasn’t used illegal drugs since 2006. He is married and has a 3-year-old daughter, a home in Trumbull, and a sales job at a software company. He attributes his sobriety to counseling and medication to treat his addiction. “It’s allowed me to live a life,” he said. 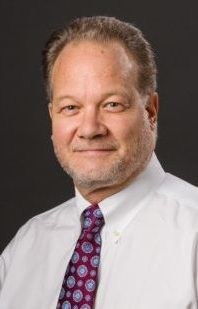 Research shows that medication-assisted treatment (MAT) for opioid addiction is effective because it eliminates drug cravings, but the use of MAT in Connecticut is not keeping up with the epidemic, said Dr. David Fiellin, director of the Yale Program in Addiction Medicine, who works with the state to address the opioid crisis. “We are, at some level, playing catch-up,” Fiellin said. “I think it’s going to take, unfortunately, a number of years” to meet the need for MAT in the state, he said. Connecticut ranks in the top 10 of states with the highest rates of fatal opioid overdoses, according to the National Institute of Drug Abuse, which said the state rate more than quadrupled from 5.7 deaths per 100,000 people in 2012 to 24.5 in 2016. In 2017, 1,038 people died of opioid overdoses in Connecticut, up from 729 in 2015 and 917 in 2016, state medical examiner figures show. Dr. David Fiellin, director of the Yale Program in Addiction Medicine. There are no “reliable estimates” of the number of Connecticut residents with opioid use disorder (OUD), Fiellin said. Roughly 2 million people are addicted to opioids in the U.S., with 72,000 fatalities in 2017, according to preliminary figures from the Centers for Disease Control and Prevention. Three drugs have federal approval for treatment of opioid use disorder. They are methadone, administered only in federally regulated sites; buprenorphine, for which medical professionals must be trained before prescribing; and naltrexone, for which training isn’t required, but is in limited use because patients must be drug-free for seven days before taking it. Addressing opioid addiction with medication-assisted treatment reduces overdoses, illicit drug use, cases of HIV and criminal behavior, Fiellin said. The practice is endorsed by federal health agencies and the state government. Advocates contend that since OUD is a chronic brain disease, it should be treated with medication as other diseases are. About 3,800 practitioners are licensed in Connecticut to prescribe buprenorphine, according to federal figures provided by the state Department of Consumer Protection. That number includes doctors, psychiatrists, nurse practitioners, and physician assistants who work in private practices, emergency rooms, health clinics and substance abuse facilities. But state and local health officials say there’s a dearth of primary care physicians who treat opioid use disorder with MAT. Also, few residential treatment programs use MAT, opting for no-medication, an approach that increases overdose risk after discharge, Fiellin said. Private practitioners in addiction care are mainly psychiatrists and addiction specialists, not primary care doctors, experts say. Dr. J. Craig Allen, medical director at Rushford, which operates addiction and mental health services at facilities across the state, has conducted buprenorphine training but says, “There are so few people actually prescribing the medication.” He said the “challenging behaviors” of people with OUD can deter primary care physicians. But not Dr. Peter Rostenberg of New Fairfield, a primary care doctor and internist who has been using MAT since 2003. He has prescribed Suboxone, a brand name of buprenorphine, to some 500 patients. As part of their treatment, he requires them to attend group therapy. “Isolation is addiction and socialization is recovery,” Rostenberg said. Emergency departments in 11 acute care hospitals and VA Connecticut Healthcare now prescribe buprenorphine, which also eases withdrawal symptoms. In the first four months of 2018, there were at least 3,090 ER visits for suspected drug overdoses among CT residents, the state Public Health Department reports. Outpatient clinics in New Haven and New Britain offer MAT to newly released inmates with OUD and physical and mental illnesses. Fiellin said treatment gaps are statewide, but are most acute in northwestern and northeastern Connecticut. Even in cities with several treatment options, there is not a sufficient mix of services, which can mean long waits, inadequate hours of operation and insurance hurdles, he said. About 50 percent of the people being treated for OUD are covered by Medicaid, 30 percent by private insurance, and the rest either have no insurance or are covered by federal veterans’ benefits, Fiellin said. Lauren Siembab, MAT director for the state Department of Mental Health and Addiction Services,said she knows of just 15 primary care doctors who take Medicaid and treat OUD with medication. The federal government, to stem the rising opioid crisis, has given Connecticut $15.5 million in recent grant money. In southeastern Connecticut, the nine-town Ledge Light Health District is using federal dollars in an aggressive effort to increase MAT; expand use of naloxone, an overdose reversal drug; provide clean syringes to reduce blood-borne diseases; and hire “recovery navigators,” who go into communities looking for people with OUD to refer them to MAT and social service programs. Jennifer Muggeo, co-facilitator, Opioid Action Team. 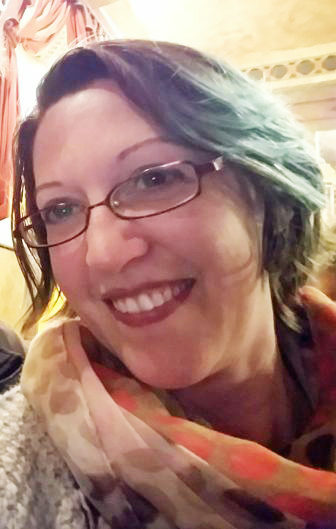 Jennifer Muggeo, the district’s supervisor of special projects and co-facilitator of the region’s Opioid Action Team, said that from the start of the navigators program in April through August, 80 people with OUD were located and at least 50 began treatment. In 2016, 40 people in the district died from opioid overdoses, she said. “We need to expand access to treatment and people should have a choice,” Muggeo said. Allen, of Rushford, said the lack of primary care doctors treating OUD also stems from a historic absence of addiction curricula in medical schools and post-graduate training, a situation that “doesn’t make sense,” he said, explaining that often diseases are worsened when a patient also has a substance abuse disorder. Medical schools at Yale, Quinnipiac and the University of Connecticut have addiction in their curricula. For Evans, life “drastically changed for the better” after getting treatment from Rostenberg. Evans said he began snorting opiates in college and eventually became consumed with getting increasing amounts as his tolerance grew. He spent the $10,000 his grandmother gave him for graduation and exhausted his salary at a car rental company. “I knew I was going to hit a wall where I was not going to be able to support this addiction anymore,” he said. Evans said his addiction robbed him of the ability to maintain relationships, save money and achieve goals, and made him unreliable. Suboxone, he said, doesn’t make him high, but takes away his cravings and allows him to feel normal. Counseling and support groups helped him change, he said. He stopped associating with friends who took drugs, changed his phone number so dealers couldn’t reach him, and avoided bars. Two friends have died of overdoses, Evans said. The state Department of Mental Health and Addiction Services provides information on medication-assisted treatment. For information click here. The Substance Abuse and Mental Health Services Administration provides a list of 1,137 CT doctors, nurse practitioners and physician assistants who are licensed to administer buprenorphine and have requested to be listed. To find licensed practitioners click here.